When SNK 40th Anniversary Collection makes it to Switch next month, it’ll be accompanied by a limited edition. NIS America shared an image this week that showcases the package’s full contents. 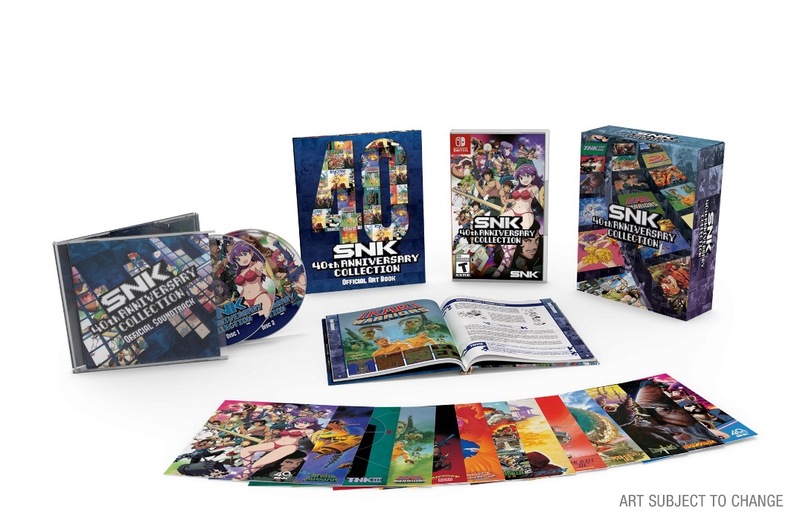 Buyers will receive SNK 40th Anniversary Collection, a “Nostalgic Music Collection” soundtrack, art book, and collector’s box. NIS America is still taking pre-orders for the SNK 40th Anniversary Collection Limited Edition on its website here. It’s due out on November 13.